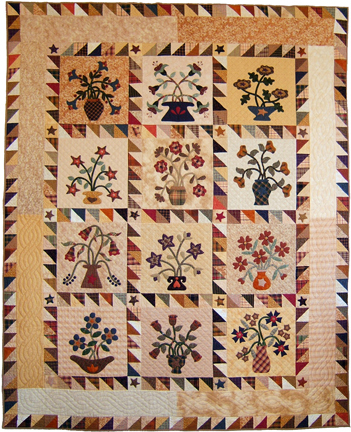 Quilt measures 75" x 93"
If you love the primitive style of quilt, then this pattern is for you. With vases over flowing with applique flowers, it has a lovely warm, soft look to it. Gather as many fabrics as you want and start stitching.